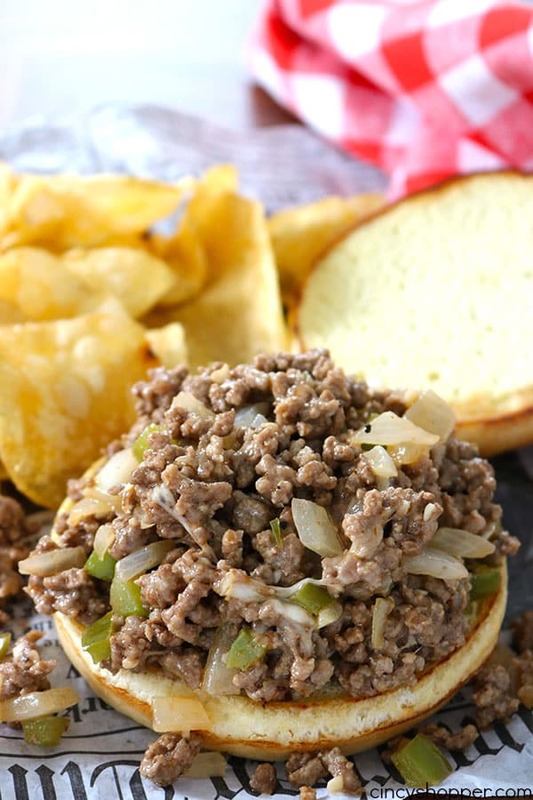 These Philly Cheesesteak Sloppy Joes have all the delicious ingredients found in the steak sandwich but we make this version with ground beef and then serve on a hamburger bun. 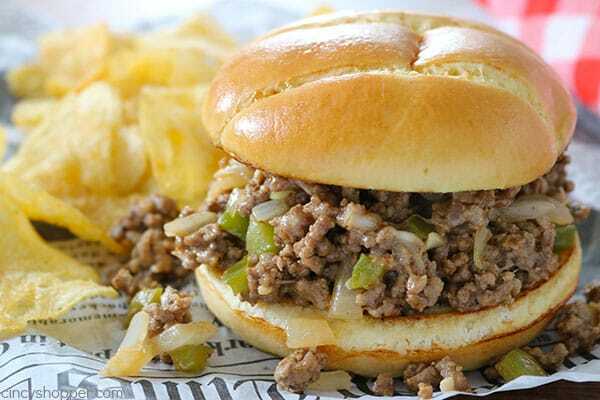 Serving up different ground beef meals can sometimes be a challenge at our house. 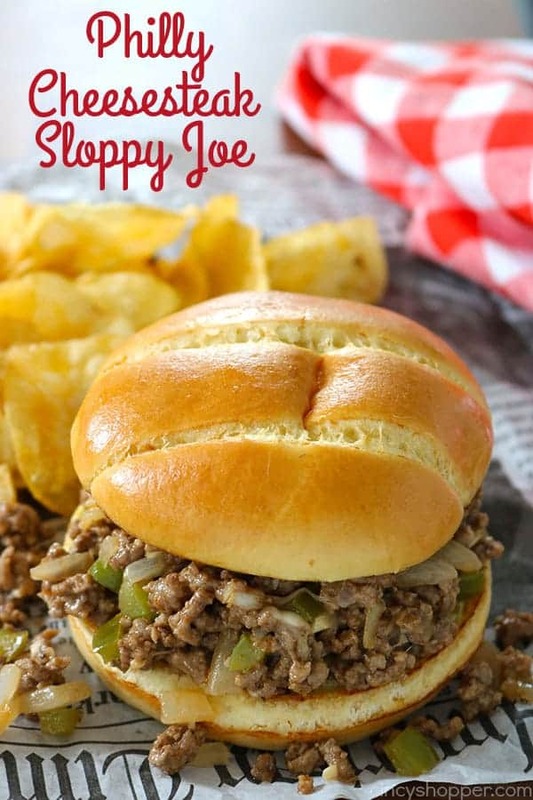 We seem to stick to most of the basics like tacos, Homemade Hamburger Helper, or our favorite One Pot American Goulash. All basic traditional meals. 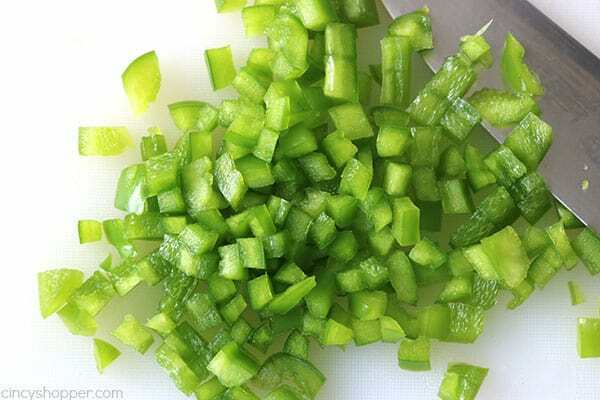 Last week, I shared our Cheesesteak Stuffed Peppers recipe with all of you. My family LOVED them and we actually made them two times last week. Yes… they liked them that much. Steak meat can be quite pricey when serving my large family. 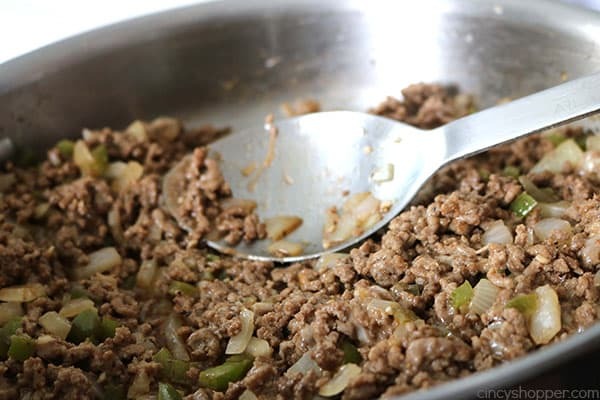 I try to cook with ground beef as often as possible when they are requesting beef meals. 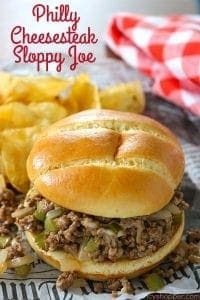 A few years ago, I had seen a Rachel Ray show that shared a Philly Cheesesteak Sloppy Joe recipe. It was one of those recipes I though would make for a great ground beef recipe. I finally got around to making my own version. 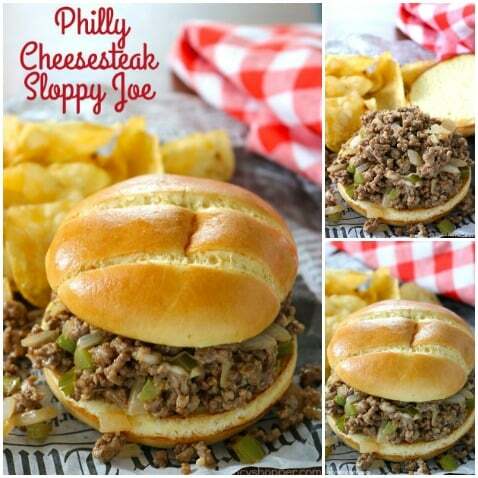 I used most of the same ingredients that I used in our Philly Cheesesteaks. I did add in a bit of steak sauce to give a bit of flavoring. This is one of those recipes we will make often. I like that is simple to make and easy to cleanup. I just added some chips and pickle for a meal that my whole crew loved. 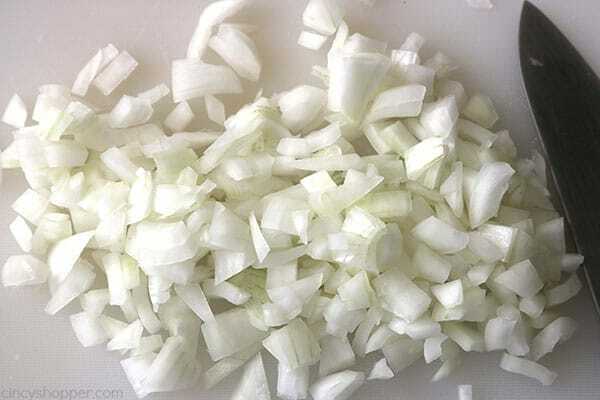 Add onions, peppers and garlic and cook until slightly softened. Add ground chuck and brown until no longer pink. 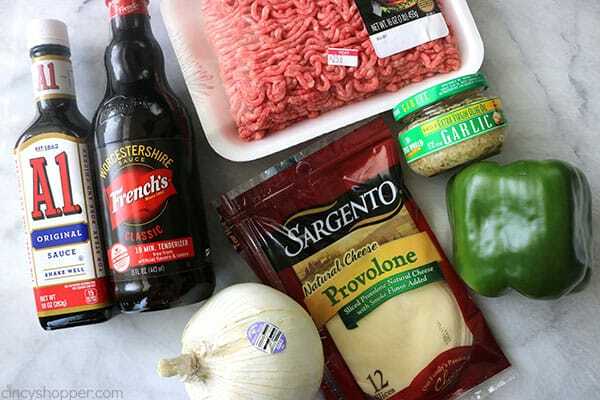 Add Worcestershire, steak sauce, salt and pepper. 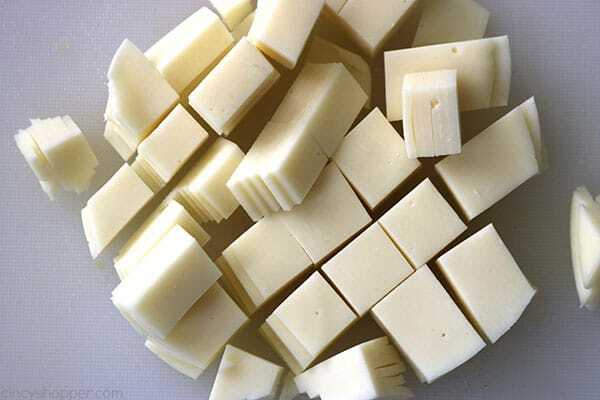 Stir in cheese and heat until melted. 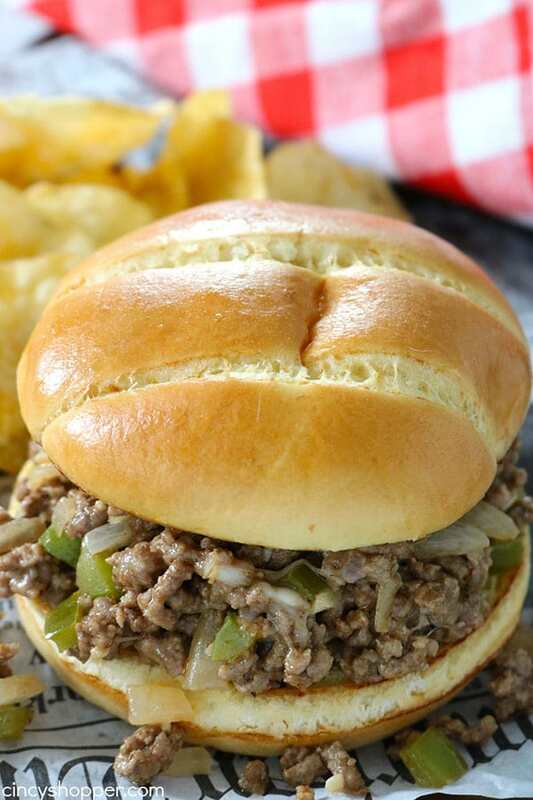 Is there a recipe for those delicious looking buns pictured with the philly hamburger cheese sandwich? Thanks, just made this and it’s very tasty.